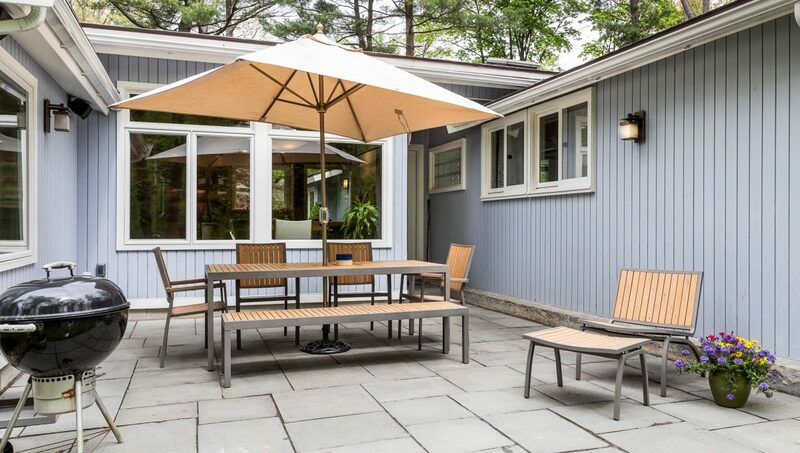 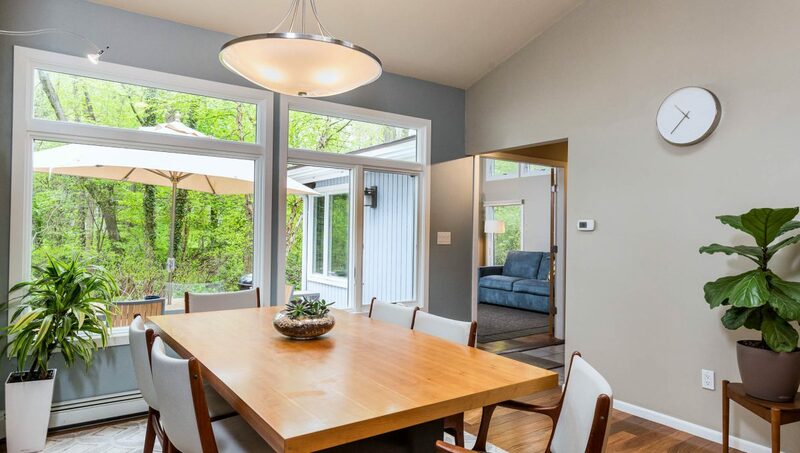 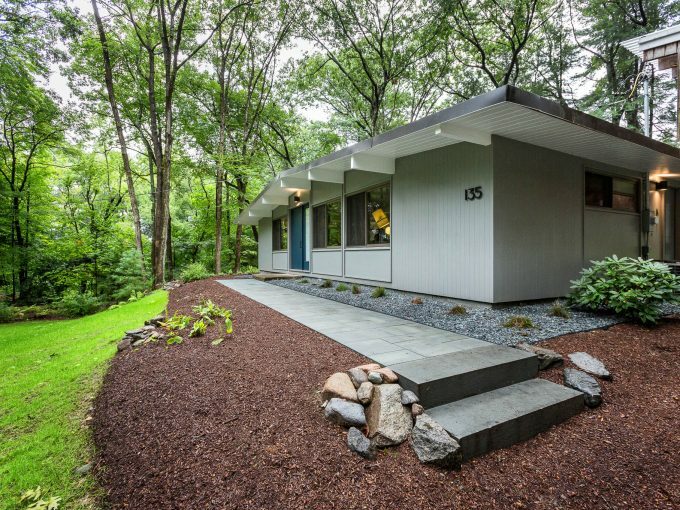 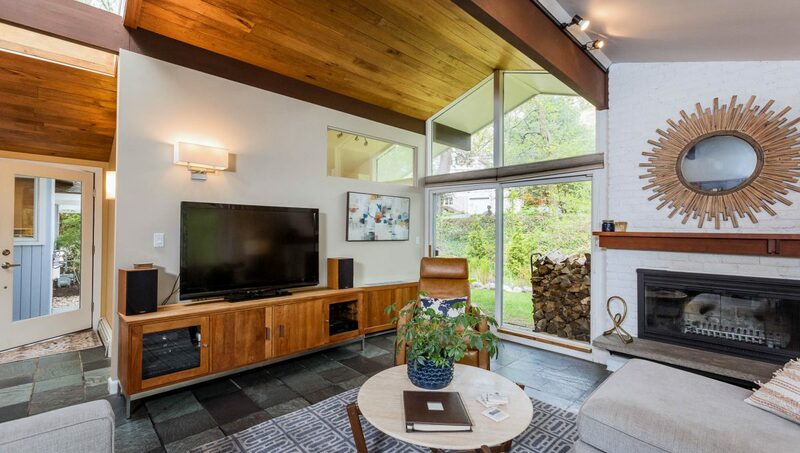 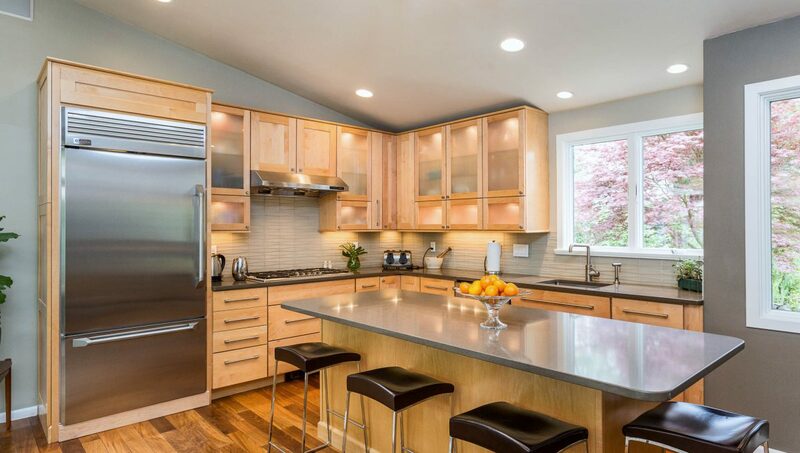 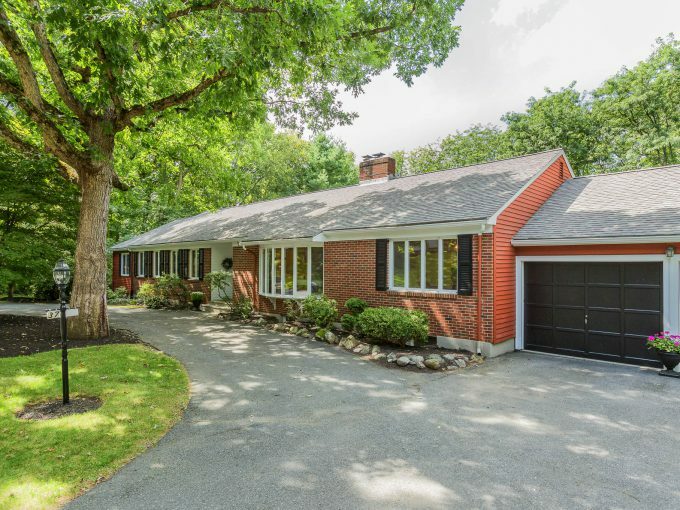 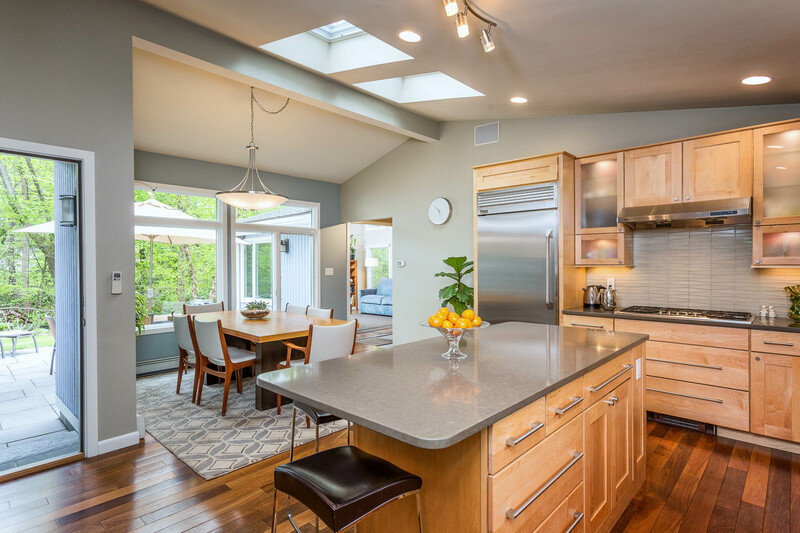 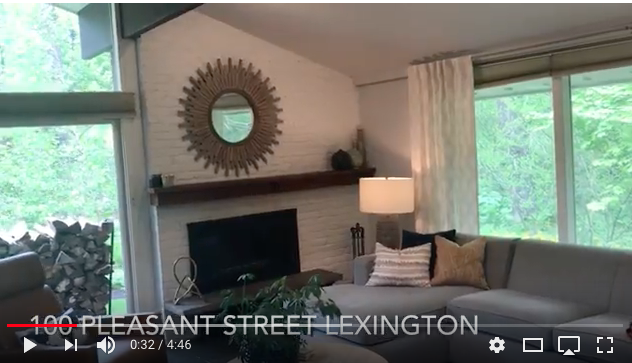 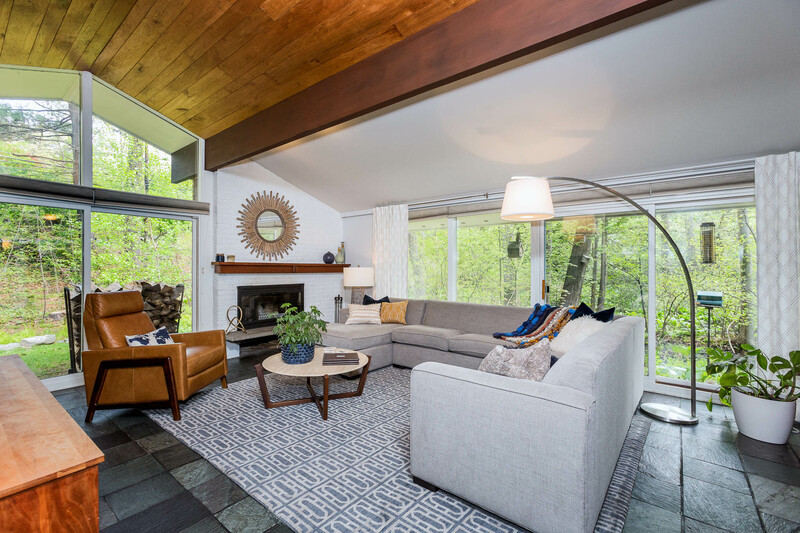 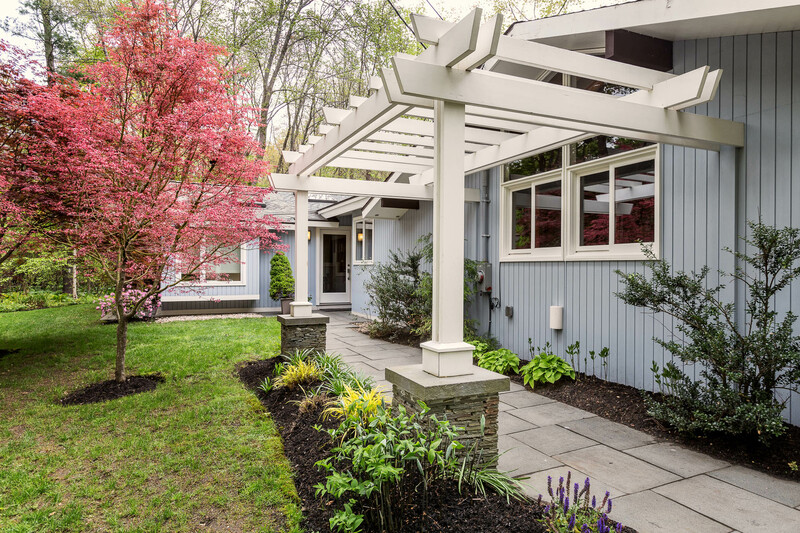 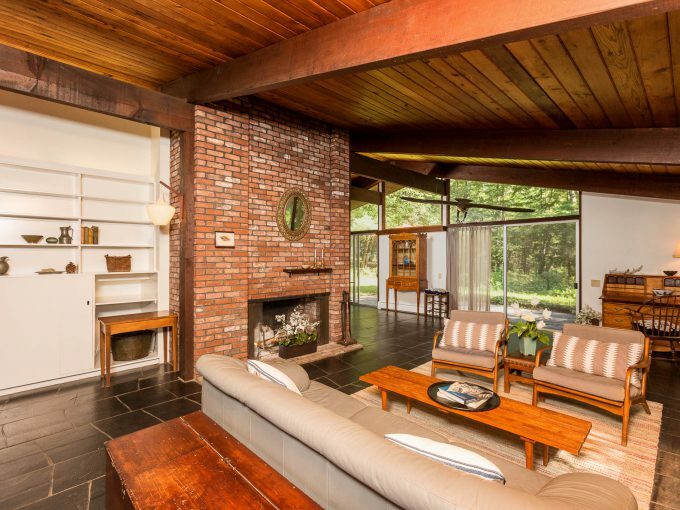 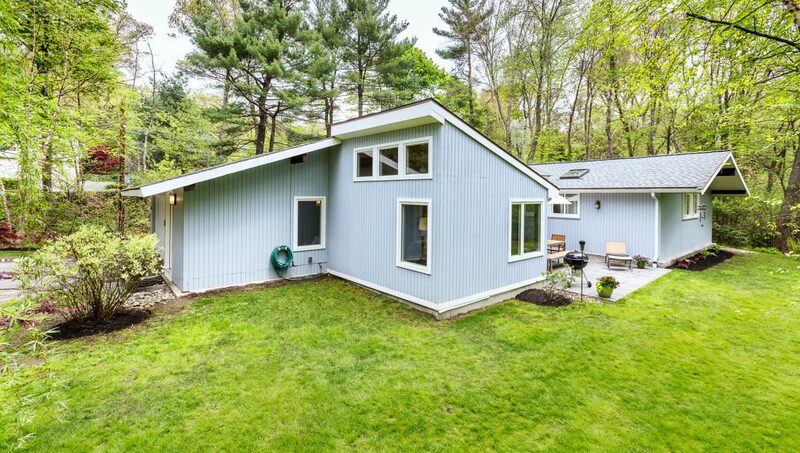 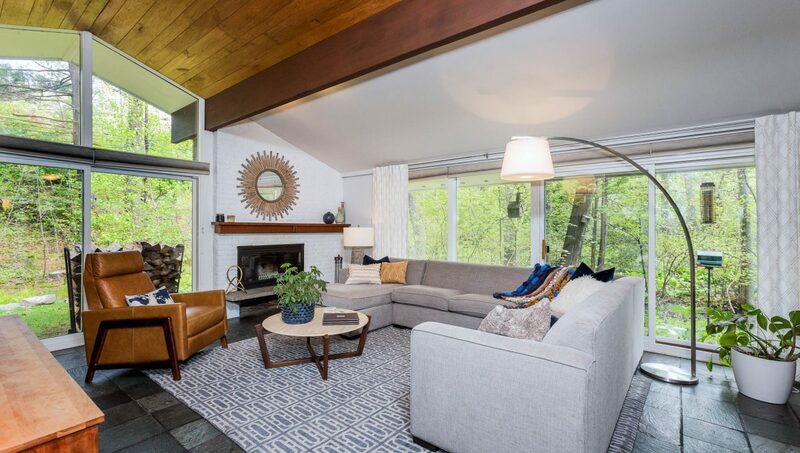 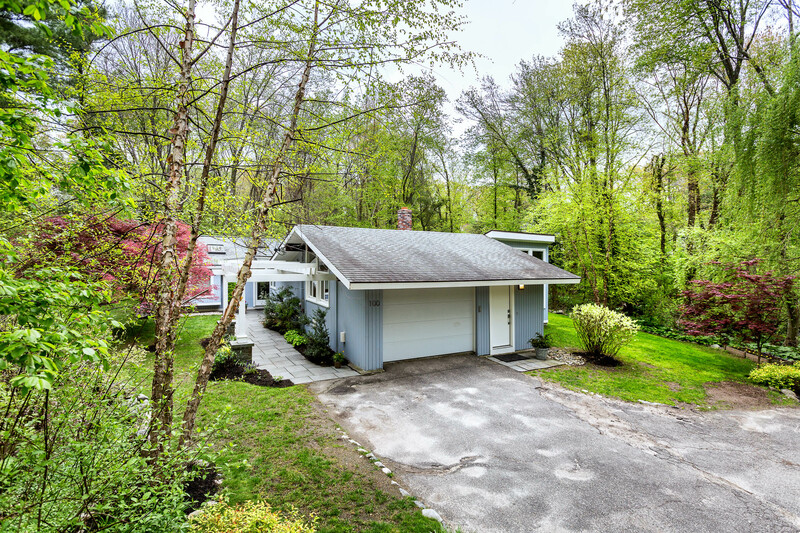 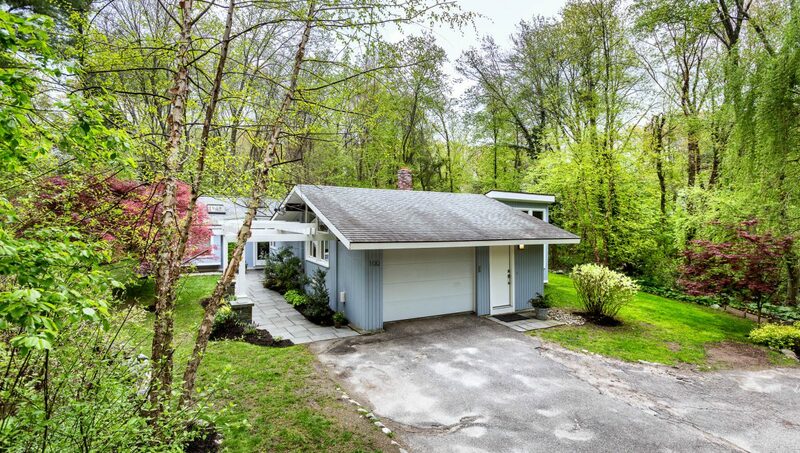 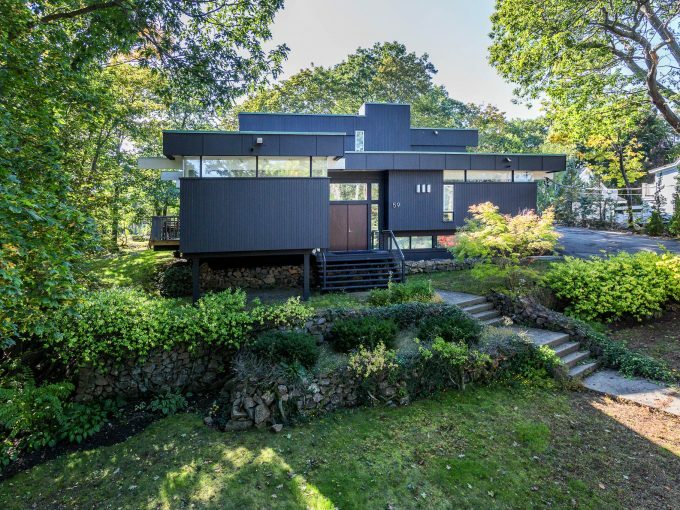 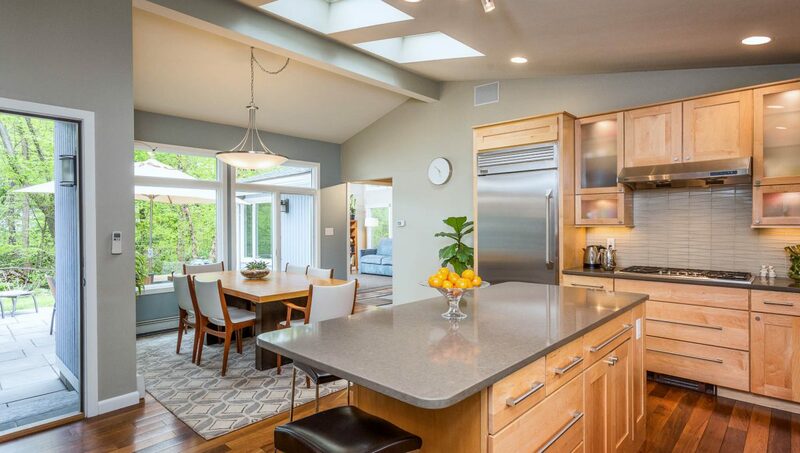 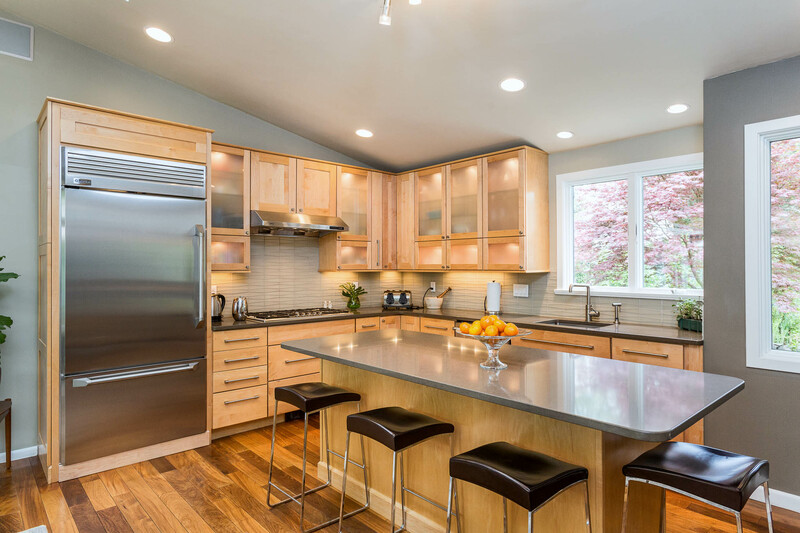 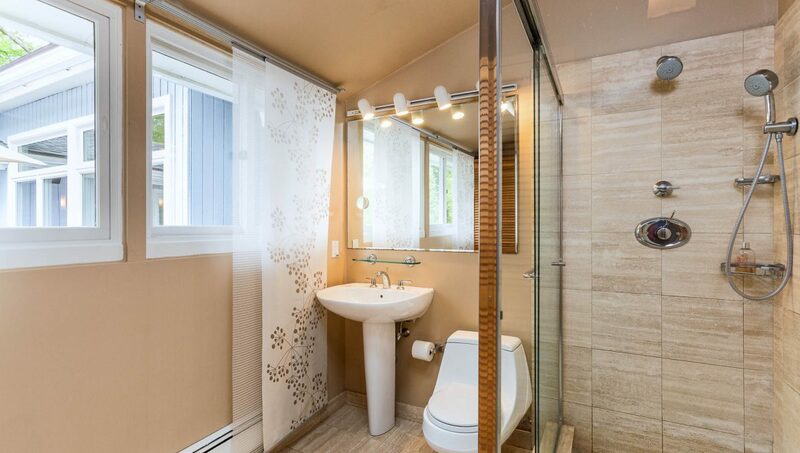 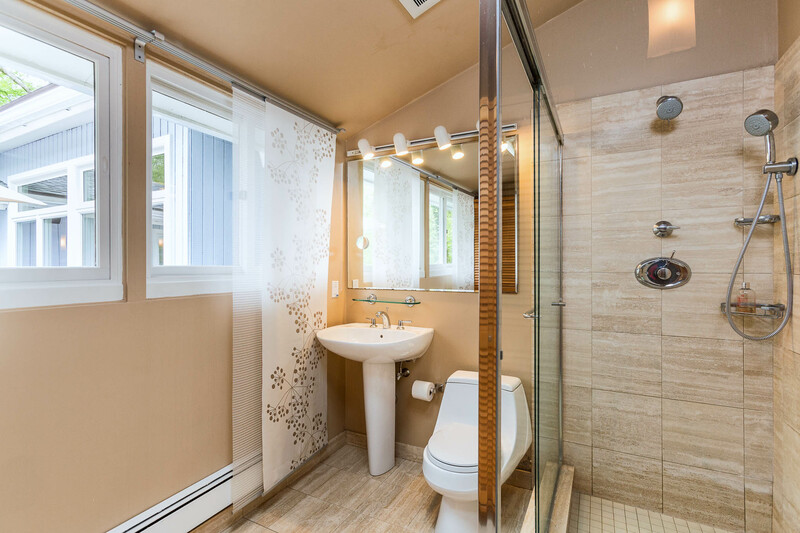 Designed by pioneering architect, Carl Koch, and his Techbuilt Company, 100 Pleasant Street is a spacious and historic Mid-Century Modern house, extensively renovated and expanded by the current owners in 2009. 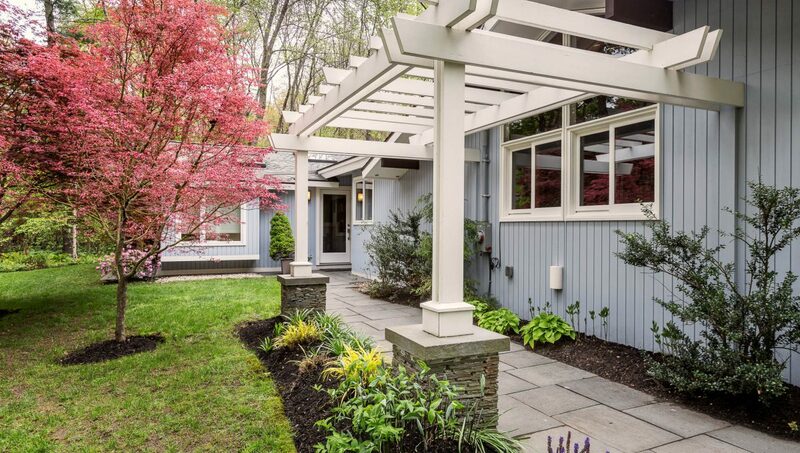 Originally built in 1964 for Harvard botanists Rolla and Alice Tryon, the one-acre property is surrounded by specimen plantings, including the ferns that were the Tryons’ area of expertise, as well as various types of hosta, and even a rare strain of dawn redwood tree, planted from seeds discovered in amber. 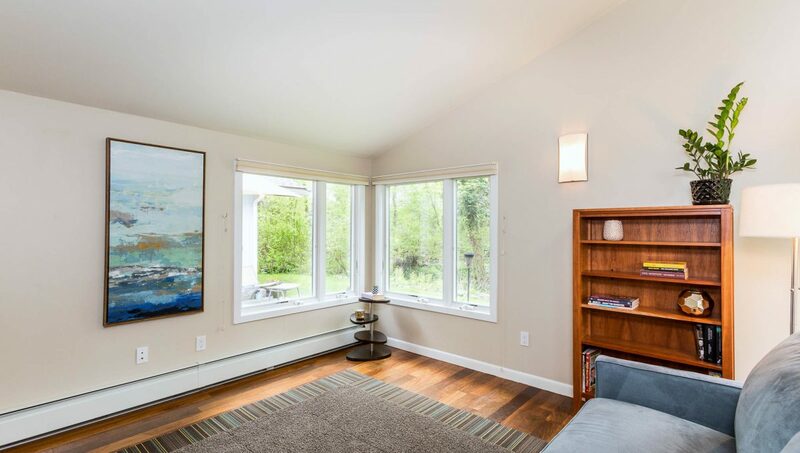 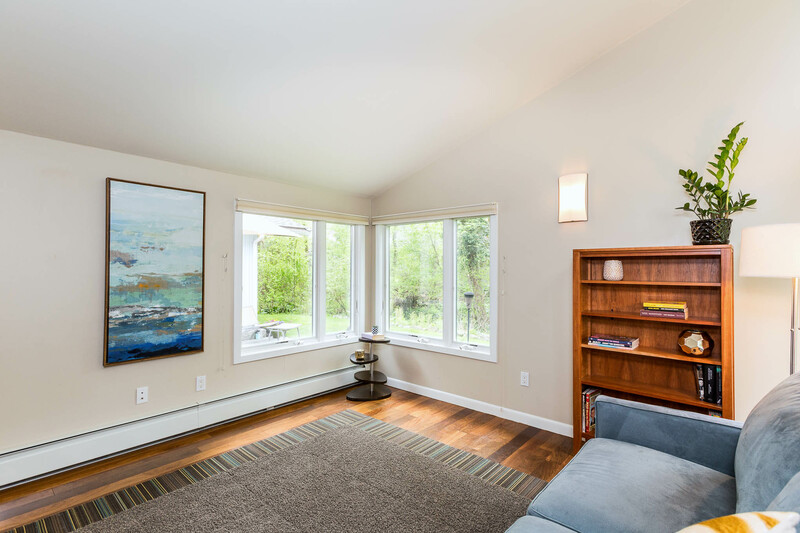 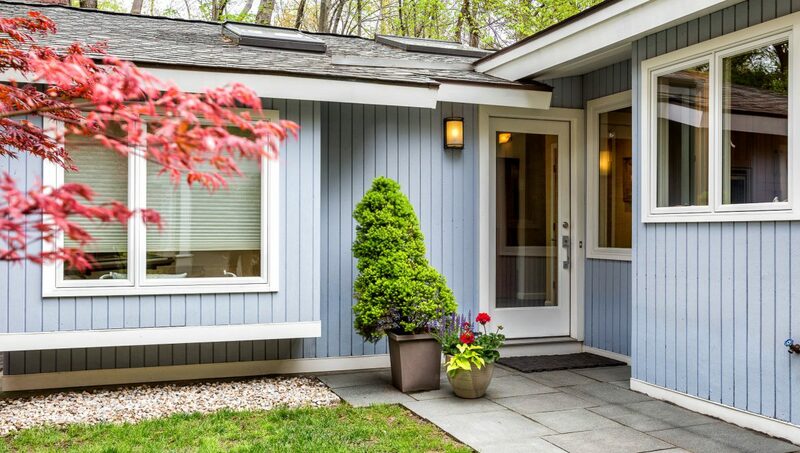 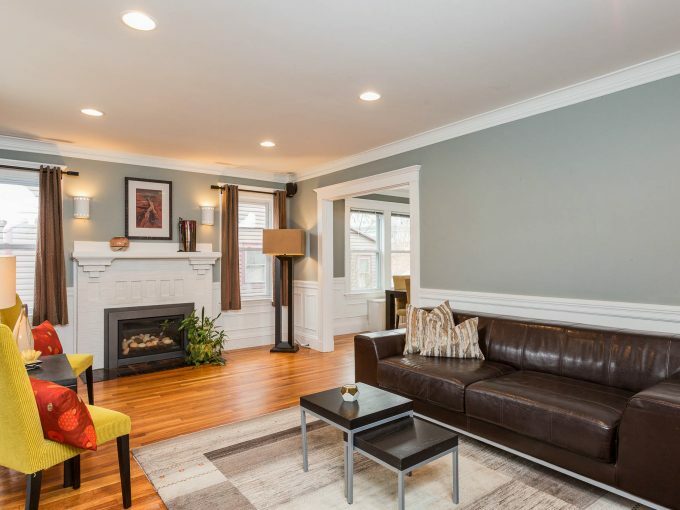 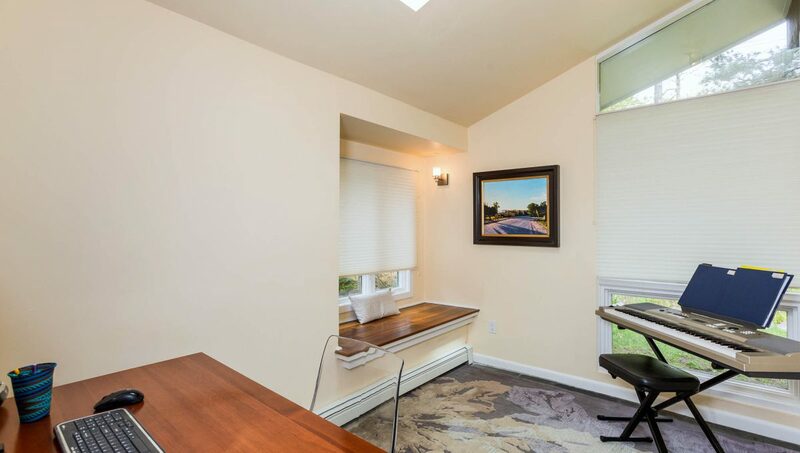 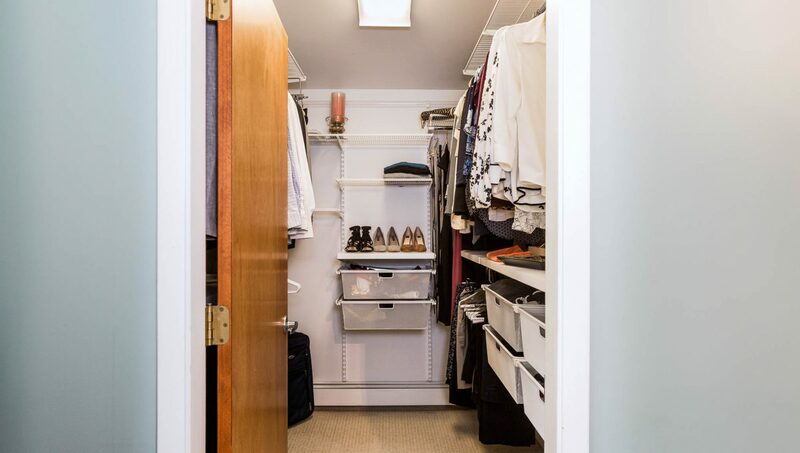 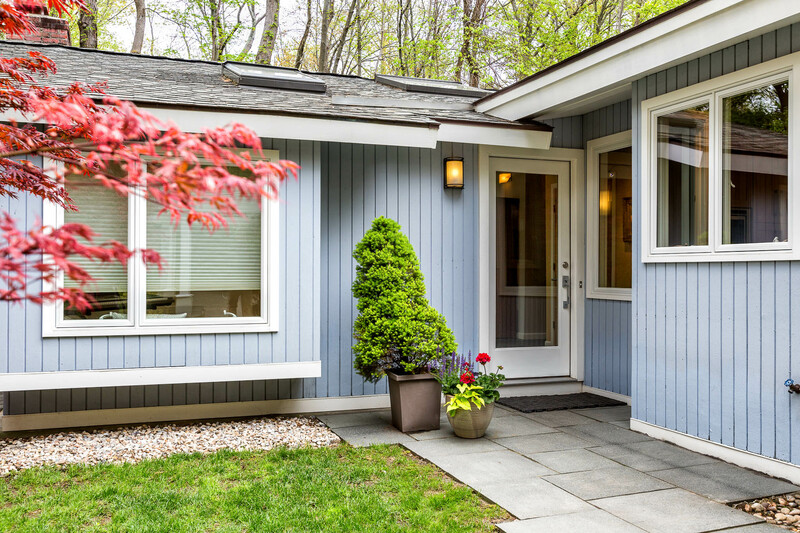 Nestled down from the road in a wooded setting, yet only seven minutes’s drive to Alewife MBTA Station, the property offers a quick commute home to escape the stress of workaday life. 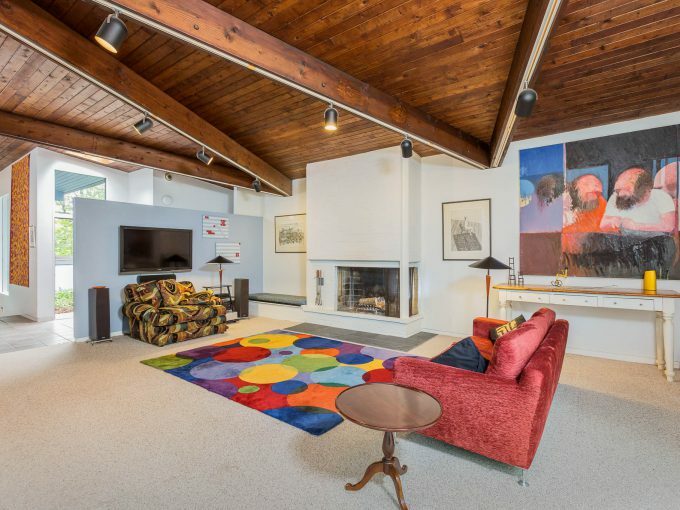 Unwind in the living room with walls of glass overlooking the flora and fauna; vaulted ceilings; a white brick fireplace; bluestone floors; and restored butternut ceilings. 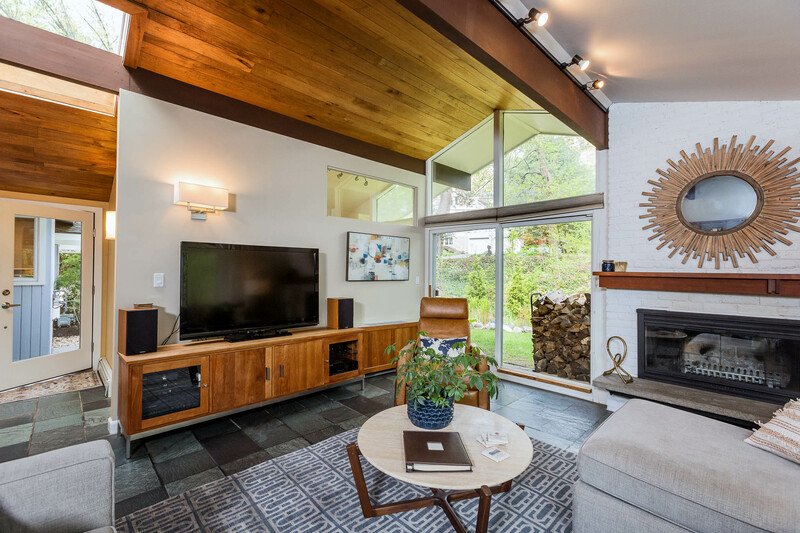 The home features a blend of natural materials and a symbiosis of indoors and out that will please even the most discerning aficionados of Modernism. 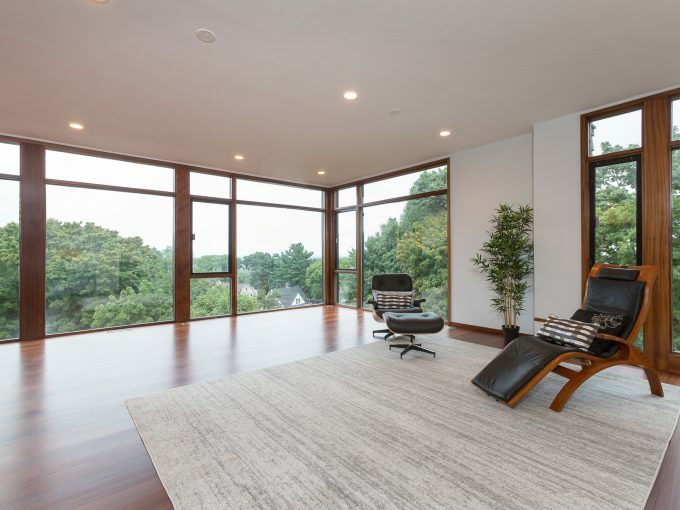 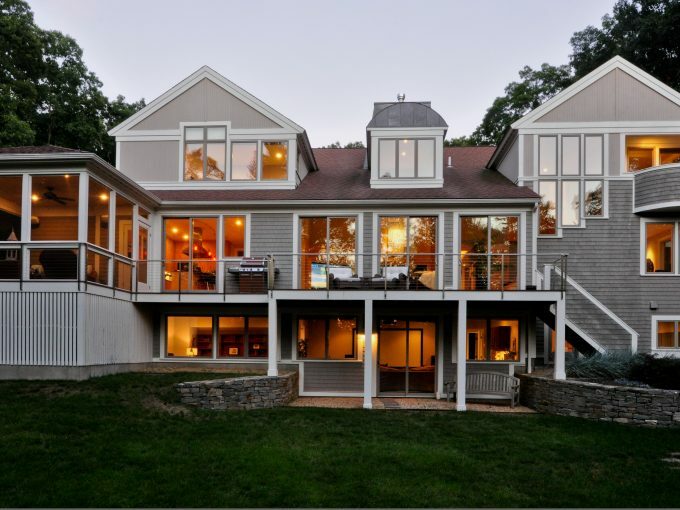 The house was effectively rebuilt in 2009, with plans from Cambridge-based architect Peter Wright, with approximately 900 square feet added to the living area. 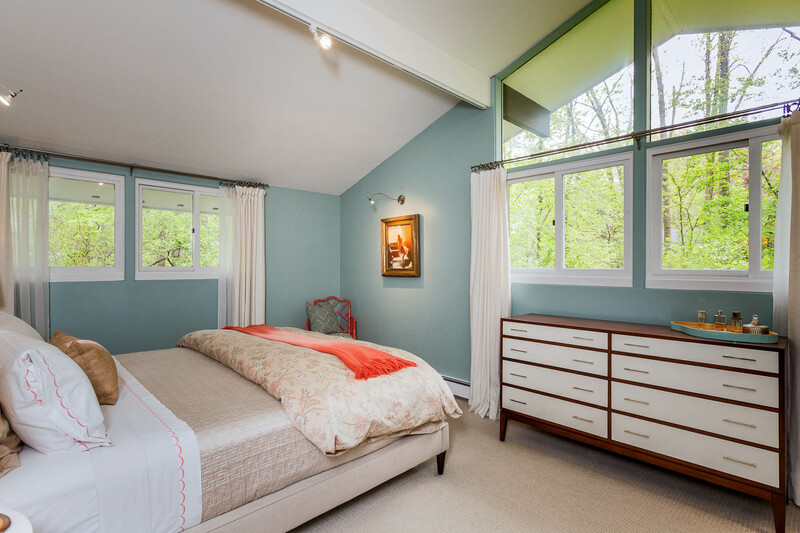 The interior spaces were taken down to the studs and reimagined, resulting in a bedroom wing that contains a peaceful master suite; two more generously sized bedrooms; a laundry room; and the two full baths. 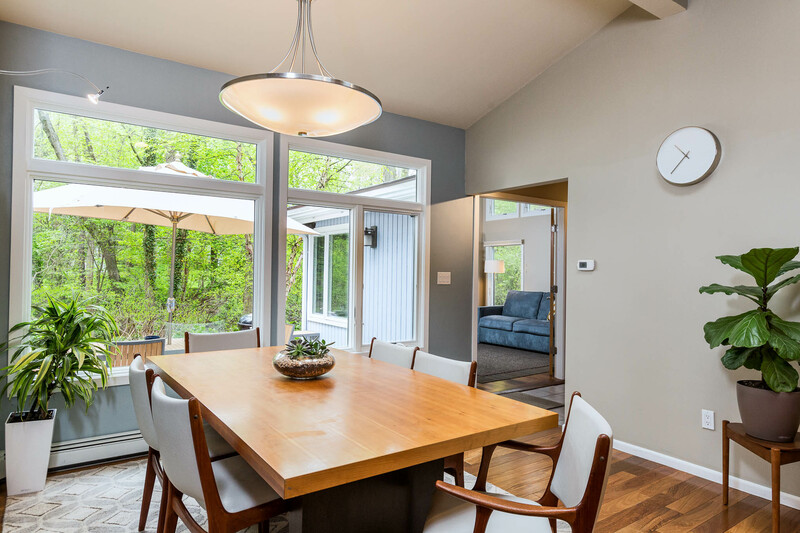 The new addition forms the heart of the home, with an addition encompassing an expansive chef’s kitchen, open to the dining space, and a guest/fourth bedroom that serves as flexible space. 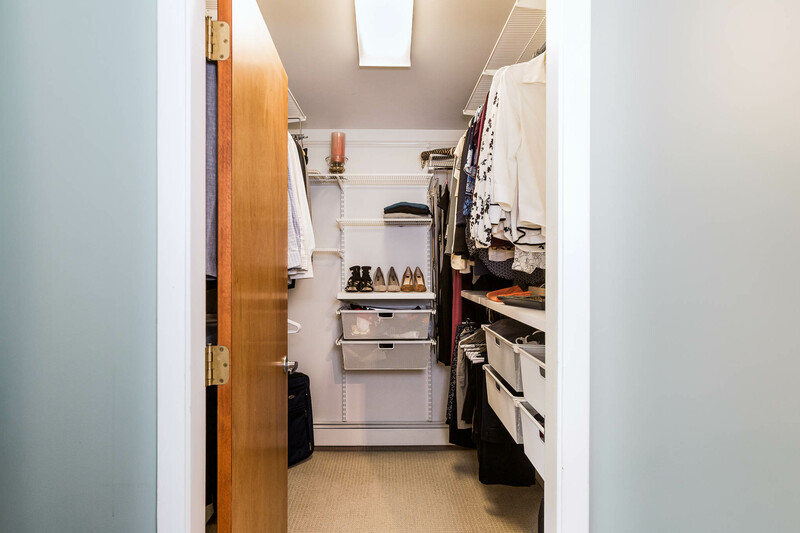 This section of the house continues through a mudroom area to the attached deep garage. 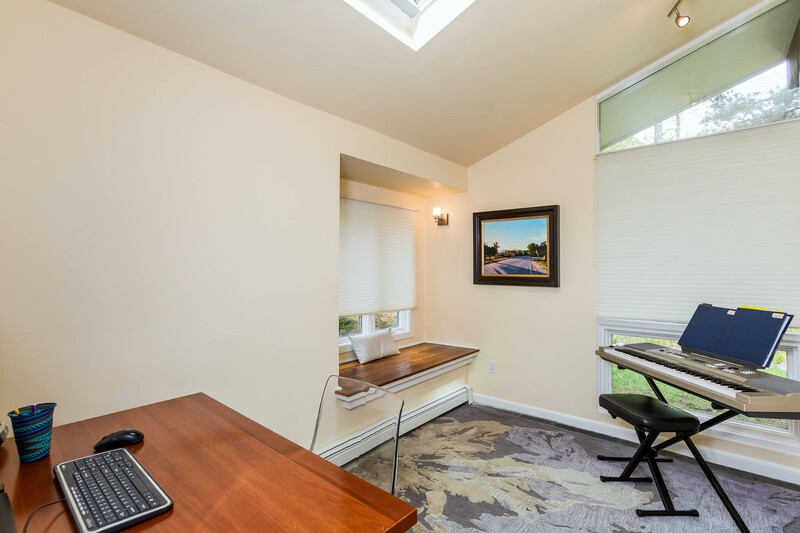 Off the main entrance is an office, which like the bedrooms, features a window seat on which to rest and enjoy the Zen-inspiring views. 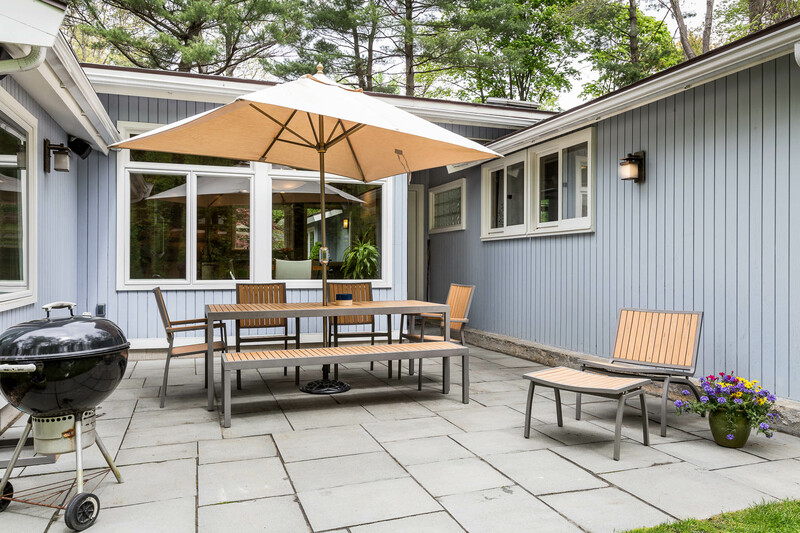 now that spring is here, you can enjoy the patio, which flows from the kitchen. 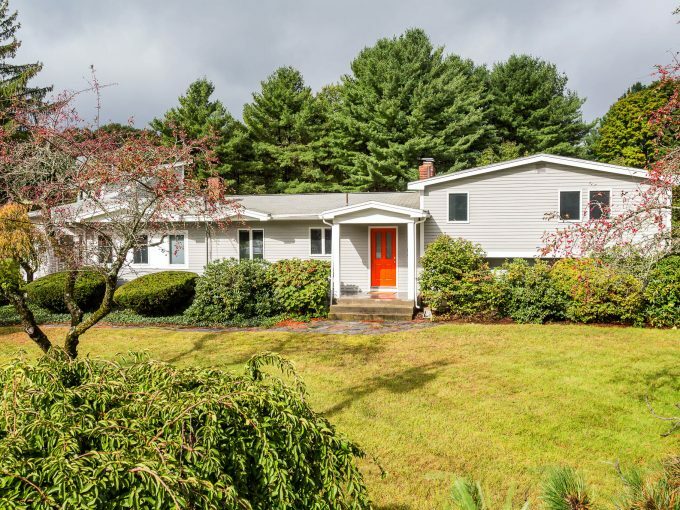 About a half mile to famous Wilson Farm. 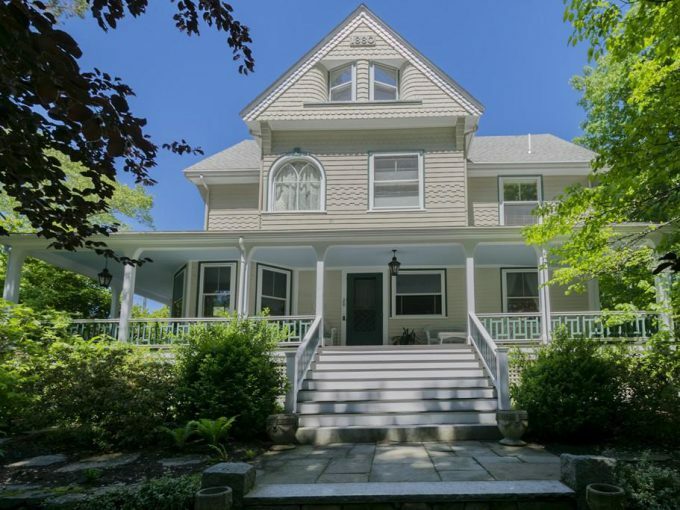 Showings start Wednesday, May 16. 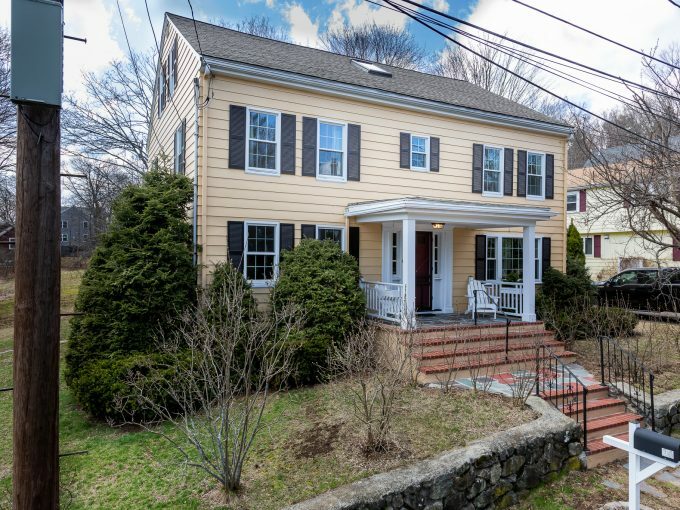 Open houses Friday, May 18 from 4:00-6:00 PM and Sunday, time TBD. 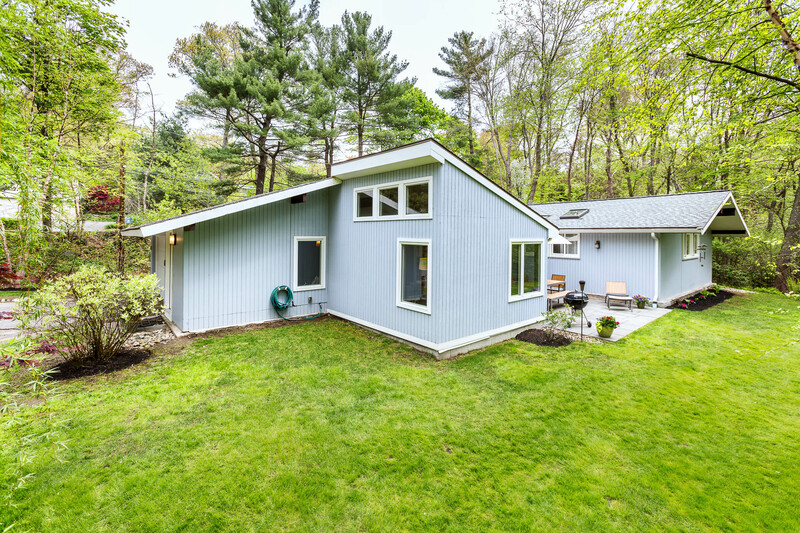 Offers Tuesday, 5/22 at 3:00. 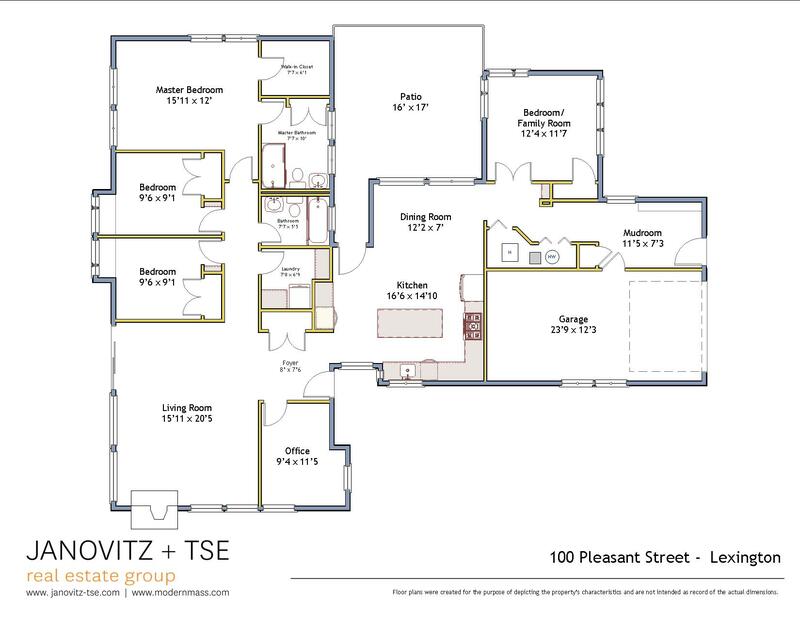 Please park on Dover Lane or further down Pleasant Street, where there is street parking near the bridge. 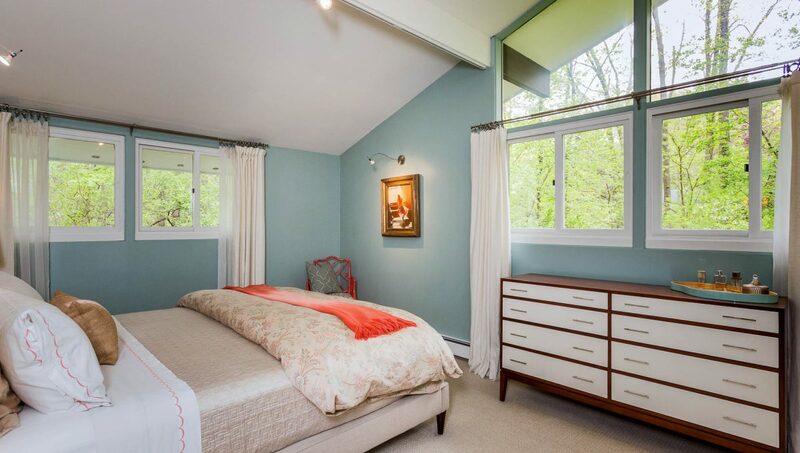 eighteenth-century farmhouse, it is understandable that we try. 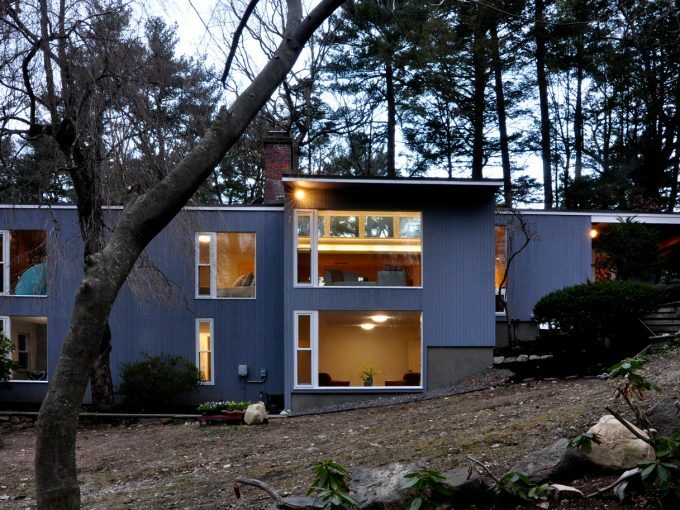 — Carl Koch, preface to At Home With Tomorrow, 1958. 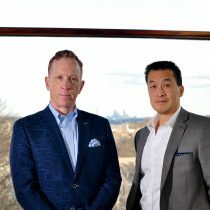 Read all about Carl Koch at our page about him, here.